Marquis Yachts was established in 1954 in Pulaski, Wisconsin. They've chosen to build each vessel to meet or exceed CE Class 'A' - Ocean standards - evidence that their yachts are built to perform in bodies of water around the world. The naval design firm of Nuvolari-Lenard, from Venice, Italy, is internationally renowned as specialists in the design and construction of large, high-end production and custom yachts. This firm's expertise results from their direct involvement in a wide range of yacht-building activities, from design to total project management, to customized interior design, to serving as surveyors and owner's representatives during construction, sea-trial and delivery. 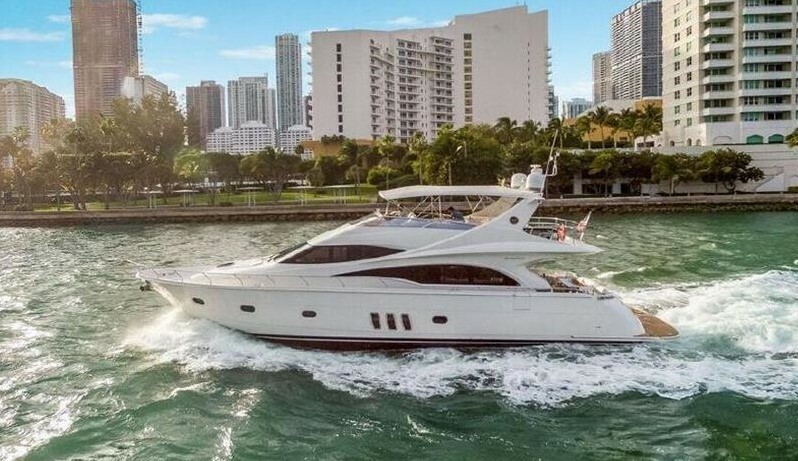 Buying a Marquis: We offer used Marquis Yachts for sale worldwide, including Marquis Sport Bridge, Sport Couple, Flybridge, Motor Yacht models and more! Contact our sales professionals for immediate assistance. Selling Your Marquis: With a team of experienced yacht brokers and marketing professionals, we will employ a comprehensive marketing approach to ensure your vessel receives maximum global exposure online as well as exposure in person at major international yacht shows. Learn more about how SYS Yacht Sales will help to sell your Marquis yacht!